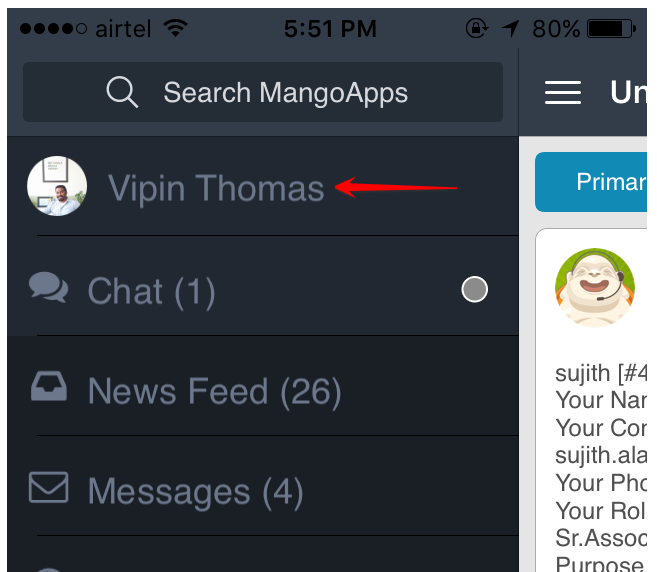 /User Preferences & Settings /How Can I Update Profile Image in Mangoapps? 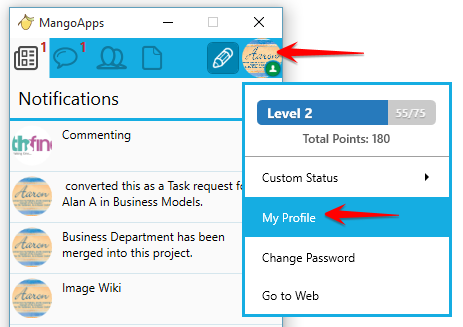 Once selected, you can navigate to the image already saved on the computer and upload the same. 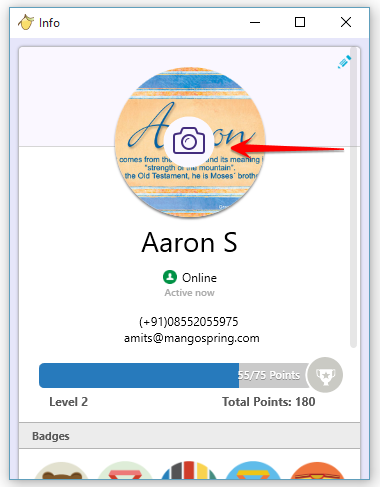 The “info” window will populate showing the existing image or a blank space for the image. You get a camera icon when moving the mouse cursor over that area. 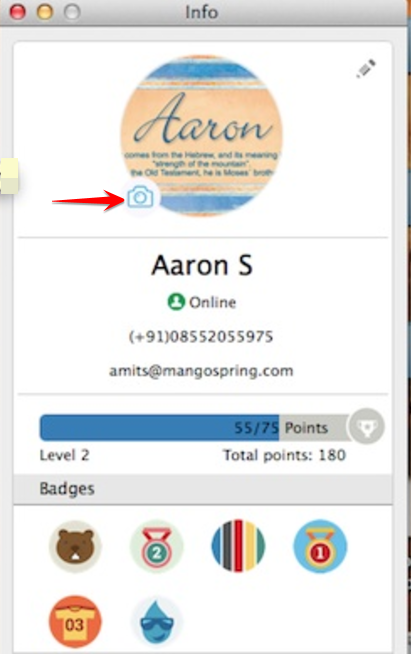 Once clicked, you can select the image saved on your computer and upload the same to MangoApps as your profile picture. 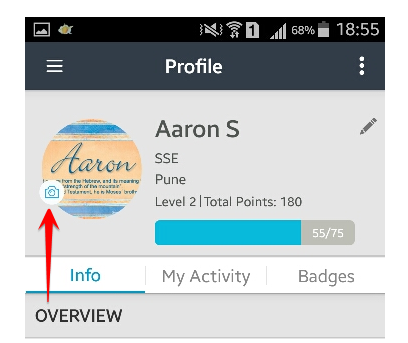 click on the small Camera icon to pick and upload an image. 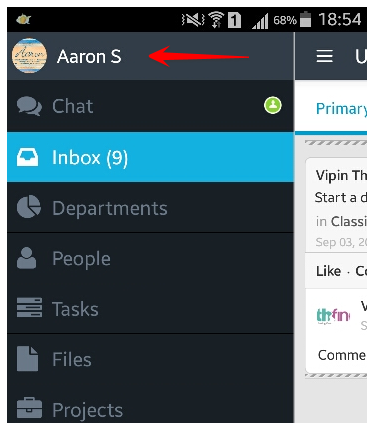 Navigate to left navigation and click on your name. 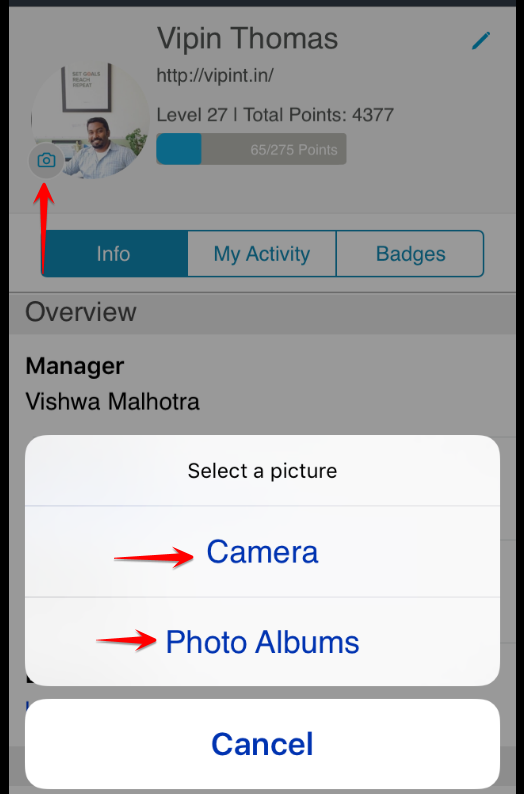 click on the small camera icon to either click a picture to upload or select an existing one.